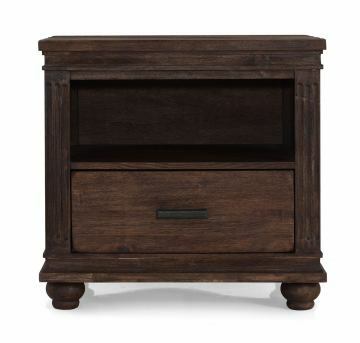 The City Night Stand has a large drawer and surface for ample bedside space. Made of solid elm wood with linear carving. Supports whimsy or elegance equally well, with a subtle nod to your good taste. This Oaktown Collection item features a video.